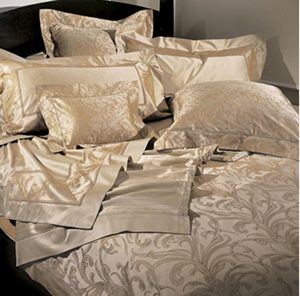 The bedroom is the best sanctuary in every home and that holds true when the linens are more than comforting. Hence, when buying cotton sheets and other types of bed sheets, there is something you have to think about other than the patterns, styles, colors, and prices. With as many choices available, there is also the different ways to care for them. If you get a bedding set that you cannot handle, it is like throwing your money in the trash. Your beddings will not last long after your first use. Bed linens usually come with care instruction labels specific to that particular kind. Although it’s a good thing to save those labels so you would not get confused how to treat a certain set the right way, it is also inevitable to have a mix-up. You surely would not be keeping just a particular set in your closet. It doesn’t help that comforters are treated differently from cotton sheets and shams, and bed skirts. Sometimes, it depends on what kind of fabric you are dealing with. To end all your woes, here are some general rules that work with most, if not all types of bed sheets. Unless otherwise specified in the care label of your linens, keeping the following rules in mind would help keep them in tip-top shape. Beddings do not require harsh machine cycles. Even your comforter set do not gets dirty that much. So, set your washing machine on “gentle” before you start on them. Although gentle hand washing may be most ideal for the fabric, it is not as manageable considering the usual size of bed sheets. Wash your beddings in lukewarm water. No need for hot water exceeding 104 degrees Fahrenheit. Use half as much detergent prescribed by detergent label. Some cotton sheetsdo not work with machine drying. Check the label and see if you need to air dry yours instead. Once dry, you can fold your beddings immediately or use them to make the bed. During hot and humid weathers, it is ideal that you change your sheets at least once a week. Otherwise, every two weeks will be good enough as well. Keep at least two sets of beddings for each bed. You would want your bed to be all made up even when a set of beddings is on the laundry. The quality and current condition of your beddings affect your sleep as well as the overall atmosphere of your room. It is but right that you take time caring for them the right way.